Instantaneous Hocking hot water system repair. Cheapa Hot Water.  Ms Mitchell from Sydney’s Northern Beaches had been having problems with her Hocking electric instantaneous hot water system since moving into her apartment in 2010. She called us for advice and explained the myriad of problems she had been putting up with including unreliable hot water, very low water pressure, showers that were either boiling hot or cold, the inability to regulate the hot water in her kitchen and no hot water from her bathroom vanity. 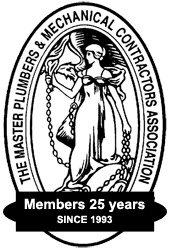 With no room to install a hot water tank, Ms Mitchell thought the problems she was experiencing were common with all instantaneous electric hot water systems. 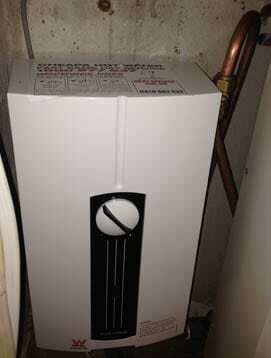 To solve these problems we installed a new Stiebel Eltron instantaneous electric hot water heater. We chose this make and model because it is a very reliable German brand offering fast water heating. We changed the tap washer which dramatically increased water flow. We also switched the old flexi water hoses to copper pipes which won’t perish and last for many, many years to come. Needless to say, Ms Mitchell was elated with the changes made which is reiterated in the testimonial below. Since moving into my unit in 2010 I have put up with unreliable hot water that I wasn’t able to regulate. My showers were either scaldingly hot or freezing cold. It seemed my old Hocking instantaneous hot water system would only work if my taps were turned on to full hot. As soon as I tried regulating the temperature by adding cold water, the instantaneous system would shut off and I would be left with only cold water. Stupidly I thought this was my cross to bear living in a unit on the top floor, with low water pressure and no room to upgrade to a hot water tank. How wrong I was! At my wits end I called Cheapa Hot Water, explained my dilemma and was immediately reassured that this was not something I had to put up with any longer. The next morning Steve from Cheapa came around to assess the problem. He offered a number of solutions, all of which solved all my hot water problems and increased my water pressure to very impressive levels. My old Hocking system was upgraded to a new Steibel Eltron instantaneous system that fits perfectly in the cupboard in my kitchen. It even has an energy saving knob so I can adjust whether I need hot water or super hot water (something about using one or two elements). Hopefully this will reduce my electricity costs in summer when I don’t want a really hot shower. I hadn’t had hot water in my bathroom vanity for many months because the water flow was too low to turn on the old Hocking hot water heater. Steve replaced the washers and the pipes below the sink which immediately gave me normal water pressure. Previous plumbers had told me the low water pressure was because I lived on the top floor and was something I ‘had to put up with’. This obviously wasn’t true because the water pressure now is amazing. Finally Steve took away my old hot water heater and cleaned everything up and left me elated. Thank you Cheapa Hot Water – I now enjoy long, hot showers without having to spend half the time shivering at the side trying to regulate the water temperature. – R Mitchell, Sydney (read more testimonials »). Contact the experienced team at Cheapa Hot Water for fast, same day emergency hot water system repairs. We service all suburbs in the Sutherland Shire. 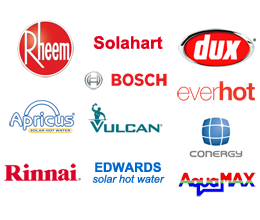 We service all electric water heaters, gas and solar hot water systems including Rheem, Dux, Rinnai, Aquamax, Bosch, Conergy, Hocking, Apricus, Vulcan, Edwards Solar, Solahart, Everhot and more. Our trucks are on the road right now stocked with thousands of spare parts to repair and service your hot water heater quickly. Hot water is our business so you won’t have to wait weeks for parts to be ordered and to arrive.